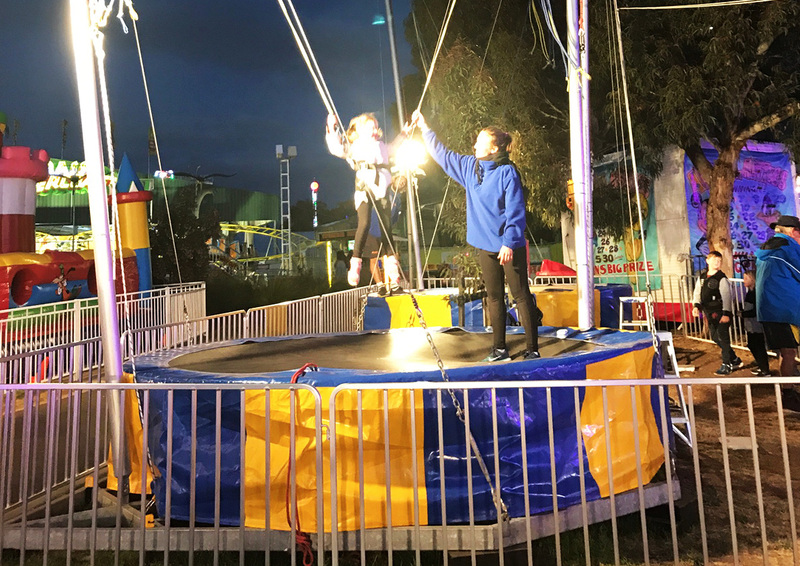 Jump high into the sky with Bungees! Get your adrenaline pumping with this gravity defying trampoline! Reach new heights with ease and enjoy trampolining like never before. Secure and safe harness’ hold you in place while you jump and bounce high into the sky. High quality aluminium with engineered components propel you high into the air while professional mountaineering grade pulleys, ropes and carabiners allow you to safely jump, somersault and flip as much as your heart desires. 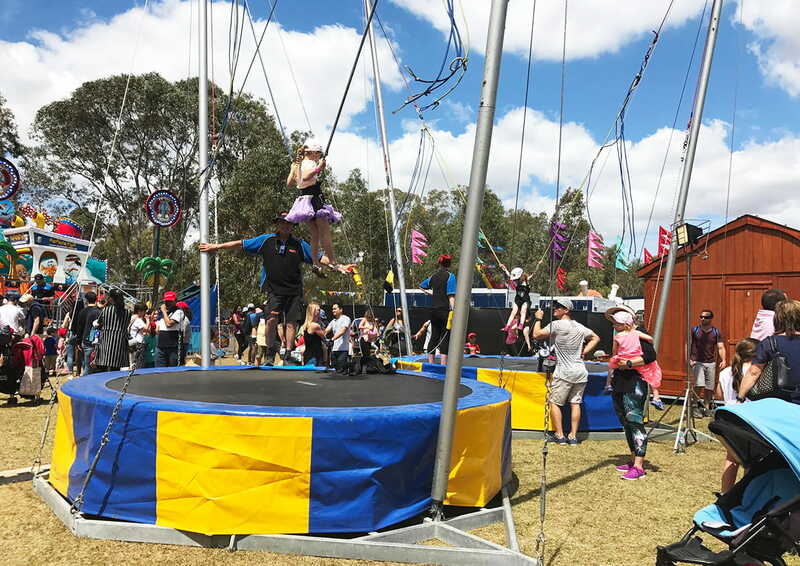 All parts of the Bungees are designed and constructed in Australia and meet all health and safety regulations so you can rest assured that your event attendees will be safe and secure at all times. 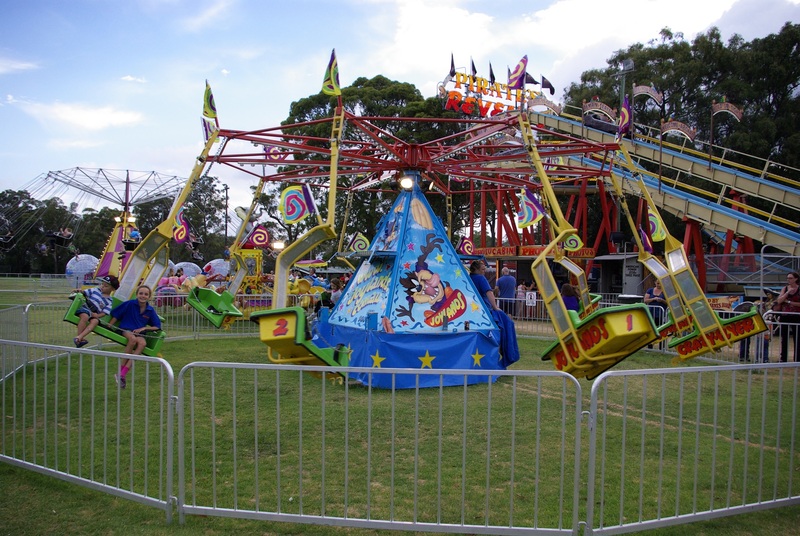 The Bungees is available to hire for Corporate Events, Fetes, Team Building Days and Carnivals. 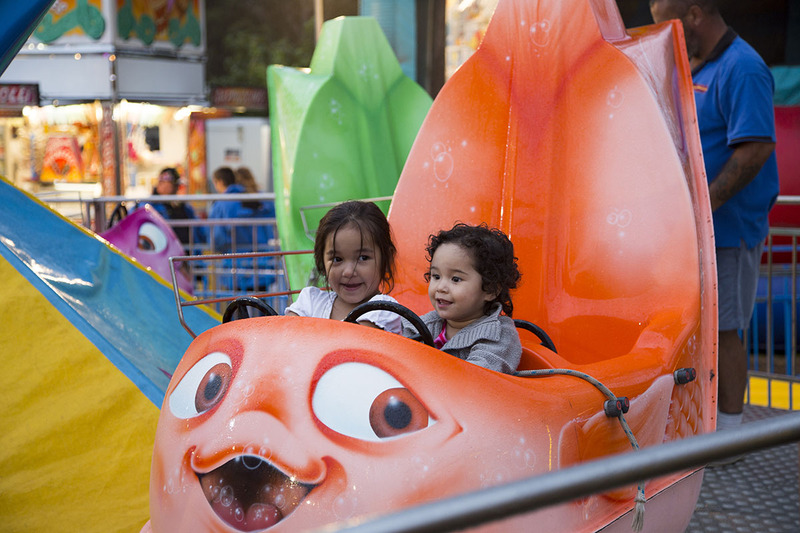 Fun, Adventure, Food & Laughter. 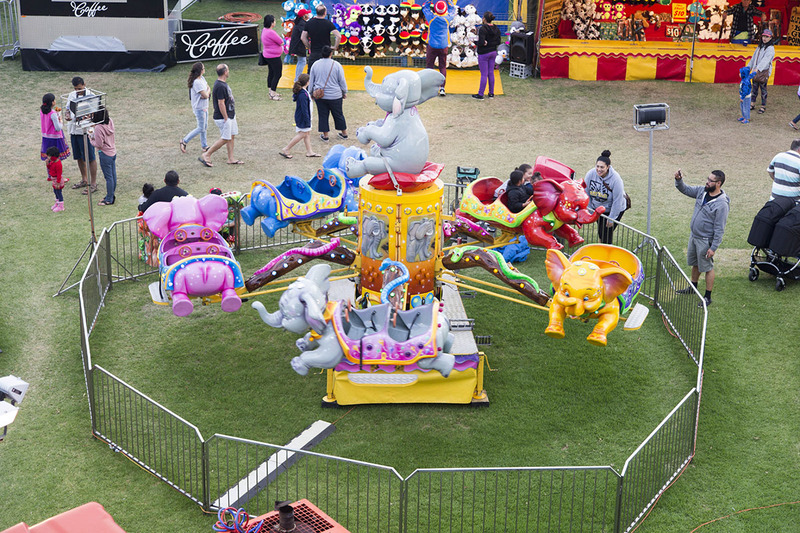 Let Joylands bring your event to life with the awesome equipment and experienced carnival management. 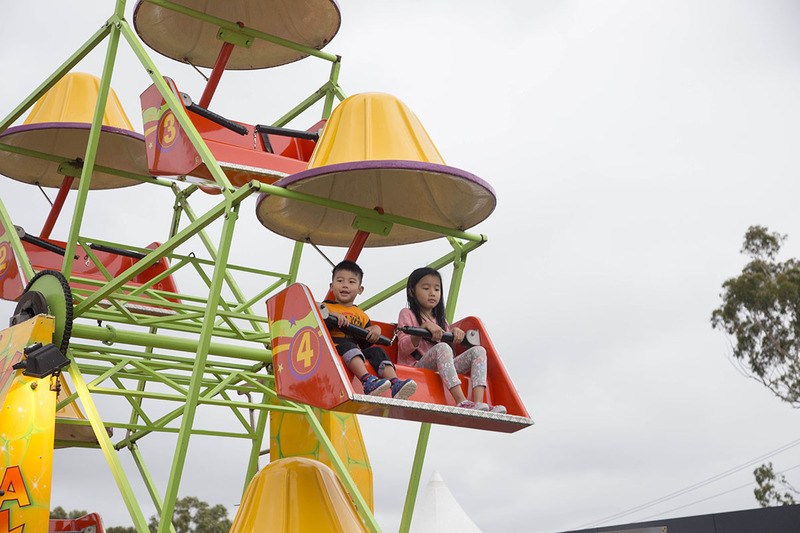 Call now on (02) 9606 9212 or book online to secure Joylands for your event. 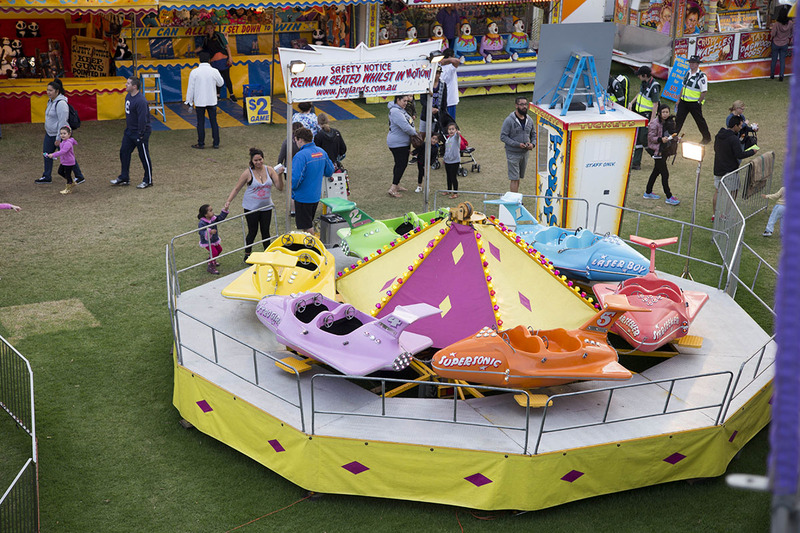 Joylands are committed to creating a carnival like you've never seen before! Copyright © 2017 Joylands. All rights reserved.